Argentine legend Alfredo Di Stefano, was present this Sunday at the Santiago Bernabeu Stadium to see River Plate win the Libertadores final. It’s not by chance that Don Alfredo Di Stefano played so many matches at the Santiago Bernabeu Stadium, and decades later his childhood club won the Copa Libertadores right there. The general consensus amongst River Plate fans was that the spirit of the Real Madrid legend was present at all times during the Copa Libertadores final between River and Boca Juniors, they are also convinced that he helped them turn the match around when everything seemed lost at the start of the second half. The man was truly the first major football icon who ever lived, he was even greater than Pele himself back in the day as the Brazilian always looked up to him for advice and as a role model in professional football. 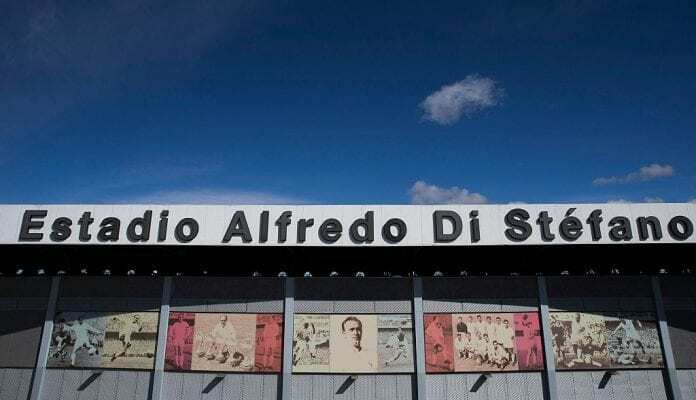 Don Alfredo Di Stefano was the first big champion that made millions of fans eagerly pay for a ticket to watch their squad, because you never really knew what was in store for you when the ‘Golden Arrow’ was about to play for Real Madrid. He was also the first major player that Los Blancos ever had, a man who won the first five European Cups to ever get played in football history. Enhorabuena a ambos equipos por su lucha y tres magníficos goles. As a football prodigy when he was first starting his career as a professional, Alfredo Di Stefano had to go through many different obstacles before he reached the very top for Real Madrid. His humble beginnings in Argentina were with the River Plate academy, where he shared the dressing room with legendary forward Jose Manuel ‘Charro’ Moreno and later won the tournament known as the Copa Sudamericana de Campeones. This tournament Alfredo won in 1948, was the natural predecessor of the now famous Copa Libertadores which his beloved River Plate won on Sunday against Boca Juniors. Apart from Real Madrid, River Plate is Don Alfredo’s first big love and the one that he later went back to coach between 1981 and 1982. During his first season with the ‘Millonarios’ Don Alfredo did win the domestic tournament and fulfilled the dream of becoming a champion with his very first club both as a player and a manager. The legendary Di Stefano passed away after living a very long and happy life four years ago, on July 7th, 2014 at the age of 88. If he had been alive for this match, there is no way he would’ve missed this final for anything in the world. For many of the River Plate fans who celebrated the Copa Libertadores title this Sunday, Don Alfredo didn’t miss the match as his spirit lives on and roamed the Santiago Bernabeu and blessed all the River Plate players in order to find themselves strong enough to turn the match around. All the good luck from Don Alfredo actually started at the moment the players started training on the pitch that bears his name, the one they used for training through all of last week, and the one that oversees the matches from the Real Madrid academy. The players who won the match today, the ones who played at the top of their game during the second half of the match will be happy for this good luck charm they had. Because the spirit of Don Alfredo wouldn’t have permitted Boca Juniors to get that victory, even though he coached the Bosteros before he managed the ‘Millonarios’. Just by watching how grateful all the fans were throughout the night, one can tell that Don Alfredo is also celebrating the Copa Libertadores from heaven next to all the other football legends who already left us as well. Di Stéfano. River. Copa Libertadores. What do you think Don Alfredo would’ve said in public after River Plate won the Copa Libertadores at the Santiago Bernabeu? Please share your opinion in the comment section down below.